"Android Development" is one of the option by Android operating system which allows the user to do development activities using his Android smartphone. This feature allows the developer to access the android device from computer by the help of Android Debug Bridge(ADB). In older versions of Android the "Developer options" sub menu, by default was accessible from "Menu > Setting > Developer options". 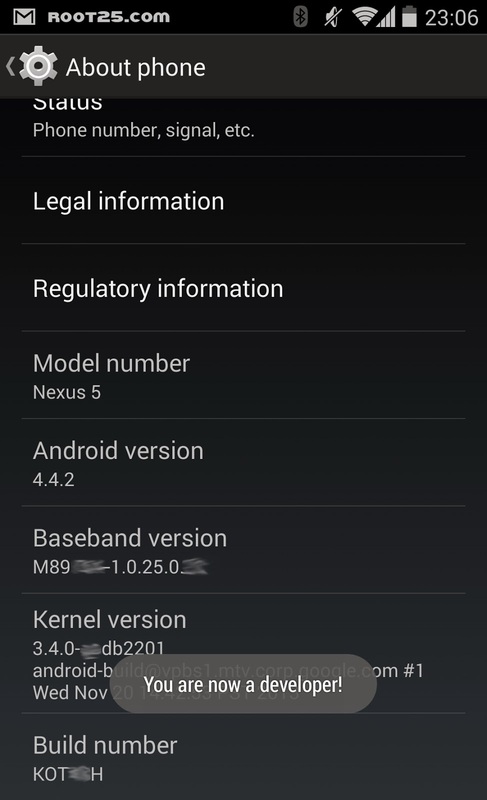 However from JellyBean 4.2 onward this sub menu disappeared. In the other words Android hide this sub menu. The "Build number" option might be in another submenu, and this vary depends on the device brand however you can find it in one of the sub menus under the "About the phone". Tap few times on "Build number"
Now it should shows a toast "You are now a developer!" Now the "Developer options" menu must appeared in "Settings" menu. Just go one level back and you should see it in the bottom of screen.